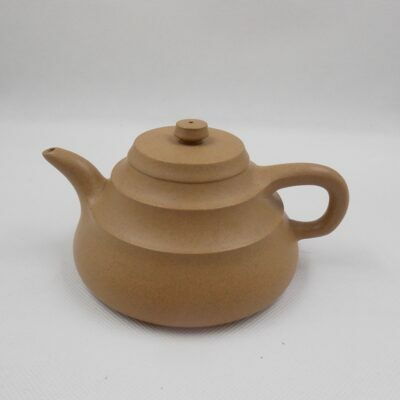 100% Yixing teapot. 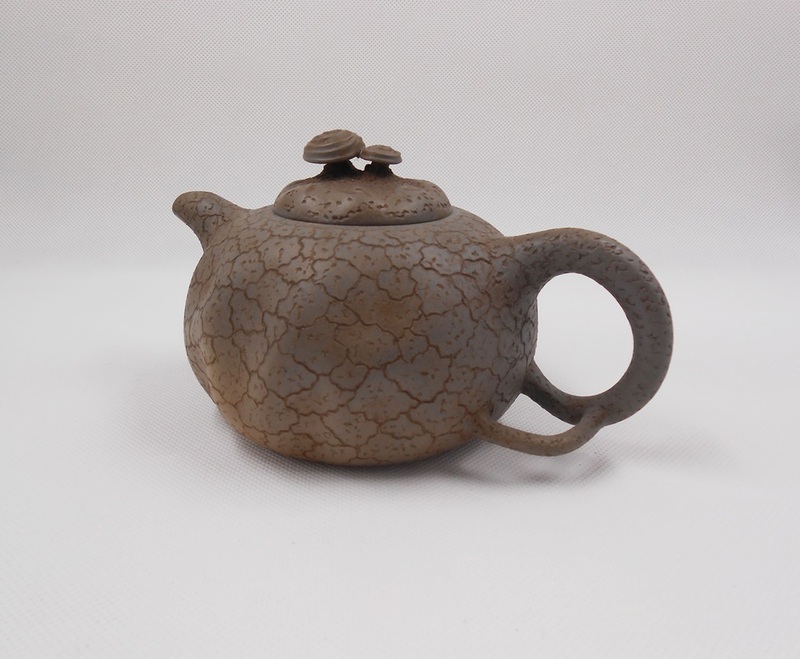 Made of grey clay. 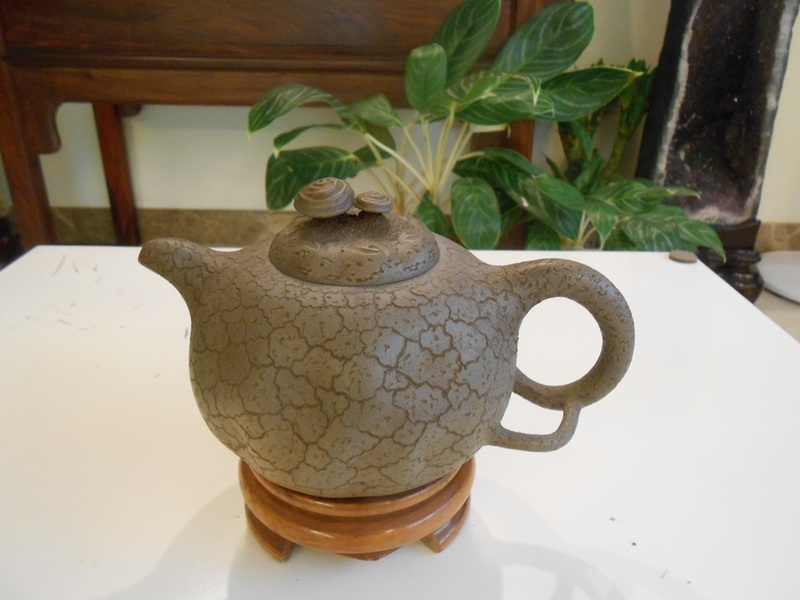 Typical Gong Chun type. 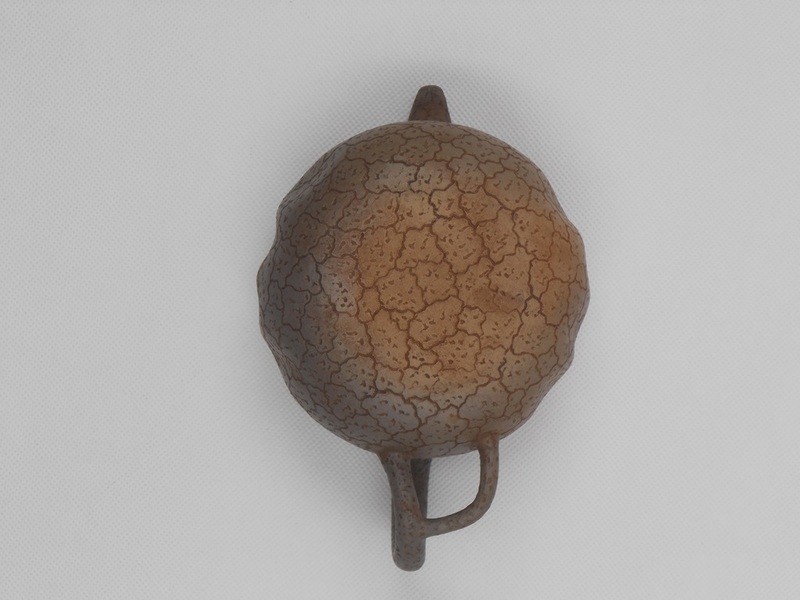 Complexity of art work. 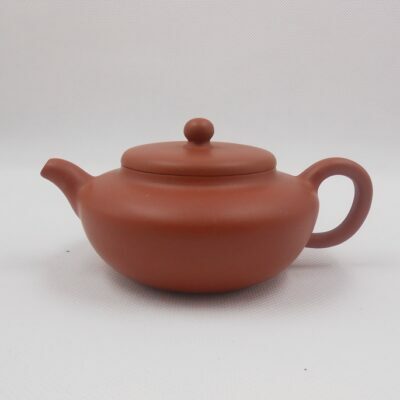 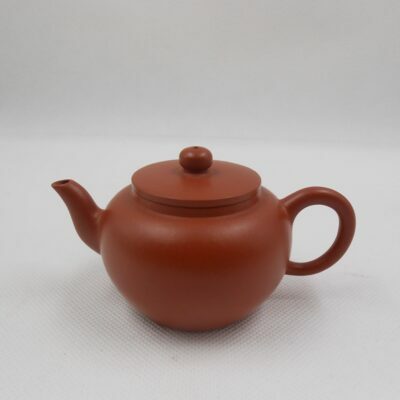 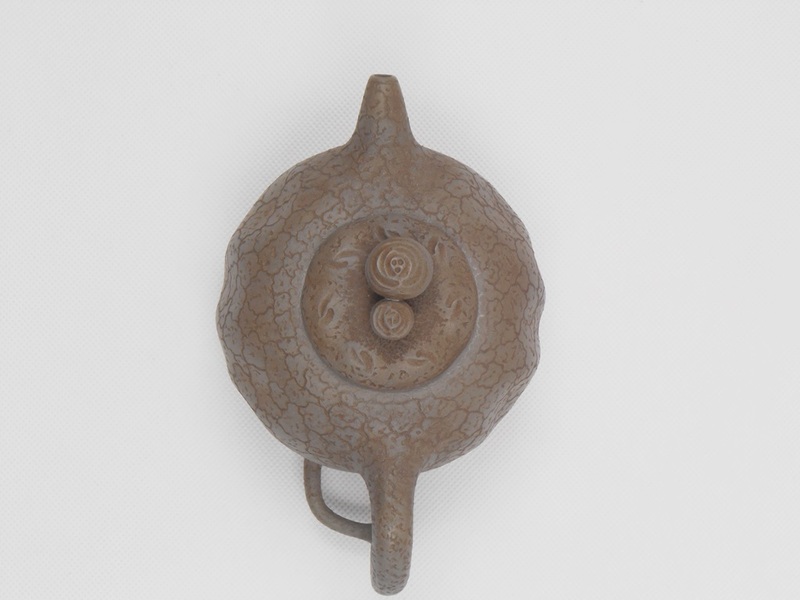 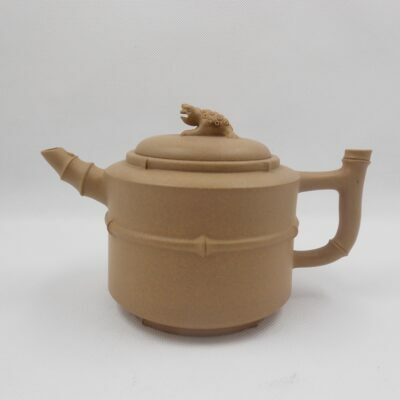 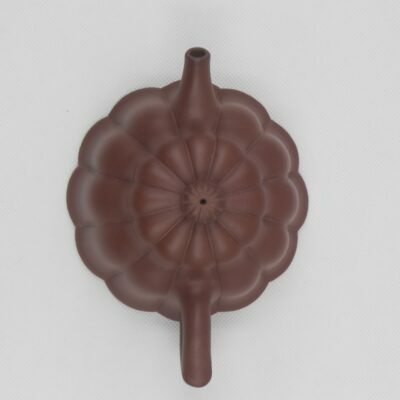 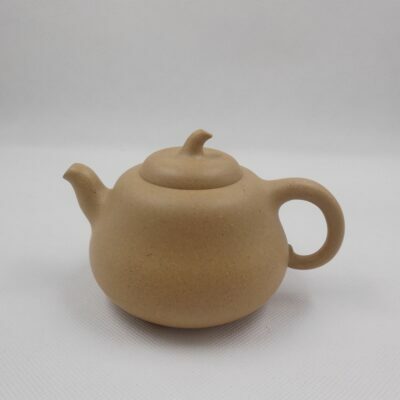 This is a fambe Gongchun 供春 type teapot. 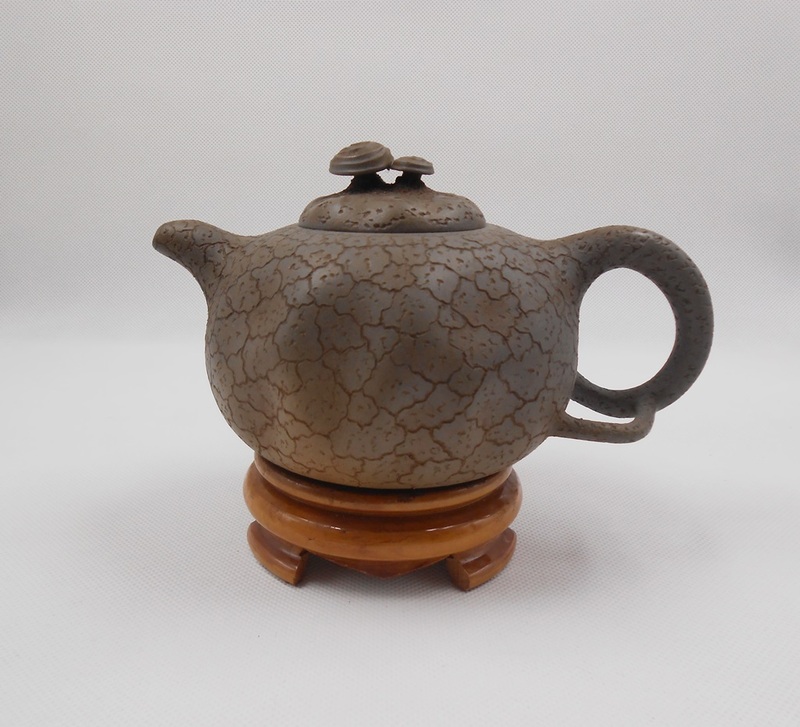 It is famous for its typical shape which resembles a “tree knur”. 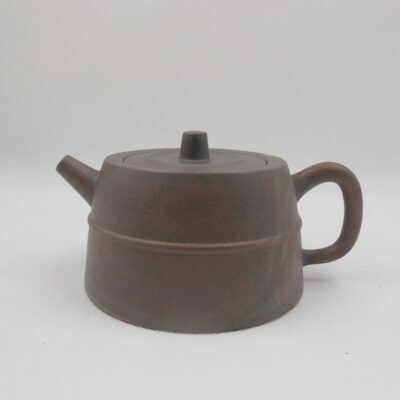 The pot has an irregular oval cross section, the surface looks like the old pine bark and the handle is like pine branch. 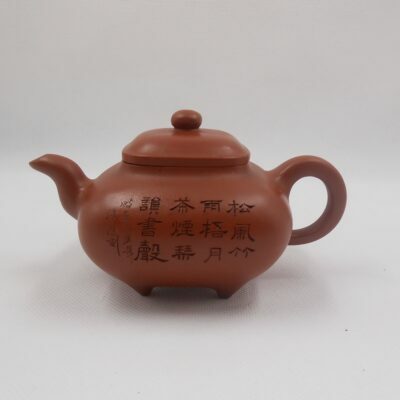 The whole manufacture is interesting, pristine and natural.The pour is round and smooth.